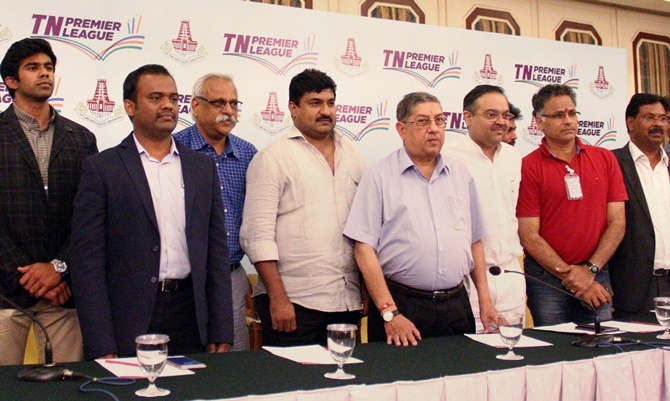 Srinivasan, the managing director of the cement company India Cements has recently sponsored a state cricket league in Tamil Nadu namely Tamil Nadu Premier League. The league will be a state-level version of the biggest cricket league in India, IPL. There will be different teams and franchises that will take part in the domestic league. In recent past the company and its managing director was caught in multiple controversies related to company and the spot-fixing in IPL. MS Dhoni, the captain of the team Chennai Super Kings, wasn’t out of it as well. It seems banning from IPL makes Srinivasan start an independent cricket league in his own state. Players who are registered under the state are eligible to participate in this 27 matches’ game. Mostly the players who have played in state level are participating in the league. As of now no big names of cricket world have come out in this domestic league. TNPL is a domestic cricket match launched in Tamil Nadu, sponsored by the former BCCI president Mr. N. Srinivasan. It will be a state level league played by the players only registered under the state. It will be a twety20 yearly league just like the Indian Premier League. It will last for one month and people will get to see two semis and one final at the end of the match as well. Tamil Nadu State Cricket Association has established the TNPL in the month of August this year (2016). The teams and the franchises will be solely from the state of Tamil Nadu. No other players or states will be involved in this league. MS Dhoni, the captain of the IPL team has unveiled the trophy. Along with Dhoni, Brett Lee, Matthew Hayden is the renowned names that are to be seen in the matches in different roles. Where you will find Hayden as Brand Ambassador of the league, Brett Lee will be seen as one of the mentors of a franchise. The league, brainchild by Srinivasan, had made a stylish entry on the inauguration day. The league was launched in a grand way on the 18th of this month with MS Dhoni and the total 8 teams that will be played under this league. Cricket lovers from Chennai who were till now deprived from the IPL because of spot-fixing controversy happened in 2013 finally got a chance to cherish the cricket again. The inauguration function was held in Chennai. Star India will be the official broadcasting partner for TNPL. The rival channel of Sony India, official broadcasting partner of IPL, will cover all the matches, extra innings and pre-match verdicts. Thoothukudi Thoothukudi Sports and Entertainment Pvt. Ltd. The first match will be played on 24th August 2016 between Chepauk and Thoothukudi in MA Chidambaram Stadium, Chennai. The match will start from 6.30 in the evening (IST). After quite a long time the Chidambaram Stadium will witness premier league matches. Including one semi final and final match, people of Chennai will get to watch 11 more matches in the entire tournament. 16th of September 2016 the first semi final match will be held in the India Cement Company Ground, Tirunelveli. The second semi final match will be held on the very next day i.e. 17th September in the Chidambaram Stadium. The final showdown will be held in Chidambaram Stadium, Chennai on 18th September. 8 teams will play 28 matches in total before semi final matches. Dindigul, Chennai and Tirunelveli are the three cities were all the matches will be held.